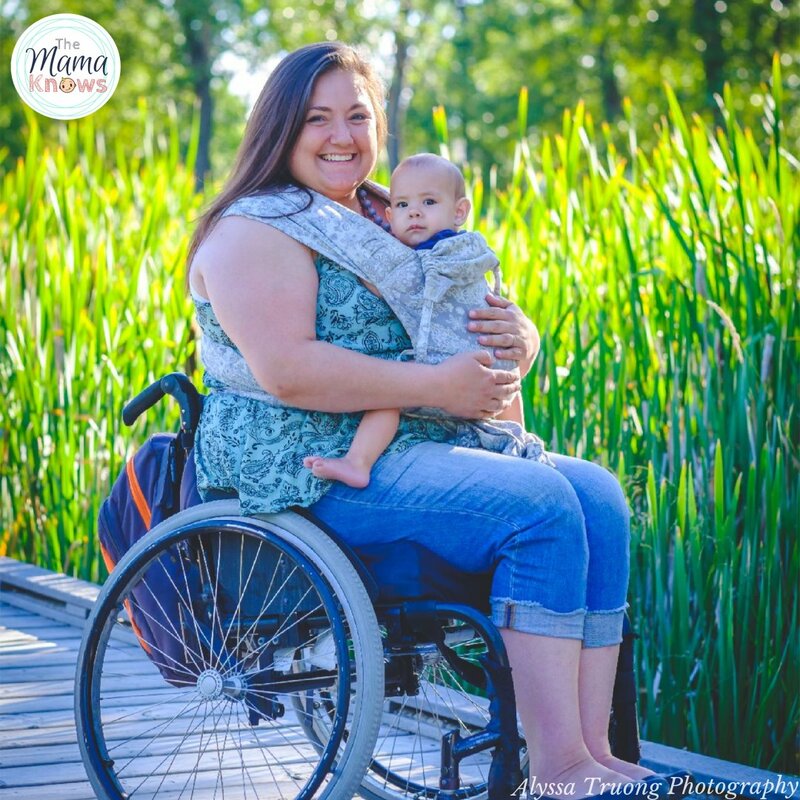 At the Great Cloth Diaper Change this year in Calgary, I had a chance to chat with the owner of Babes In Arms– a fantastic little Calgary babywearing shop with tons of great natural parenting products. 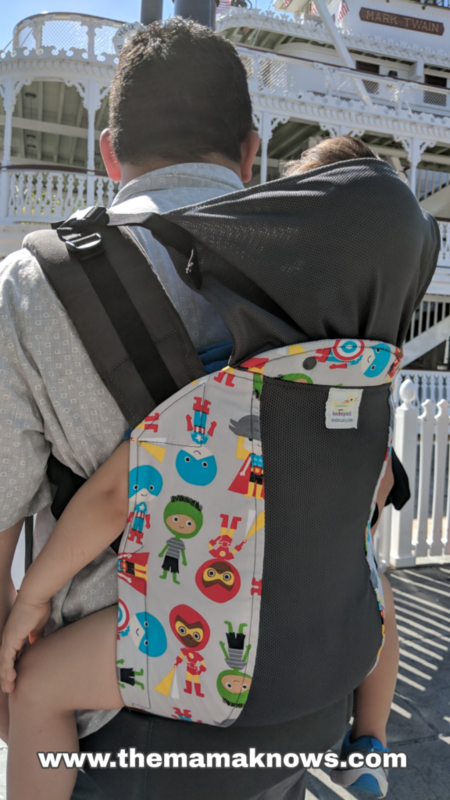 I mentioned that we were California-bound and needing a second carrier for our Toddler, and that my husband needed something supportive. William, the shop’s owner, suggested that I borrow their Kinderpack to try and review. He promised that the straps would be wide, well padded and cpmfortable. He was ot wrong! 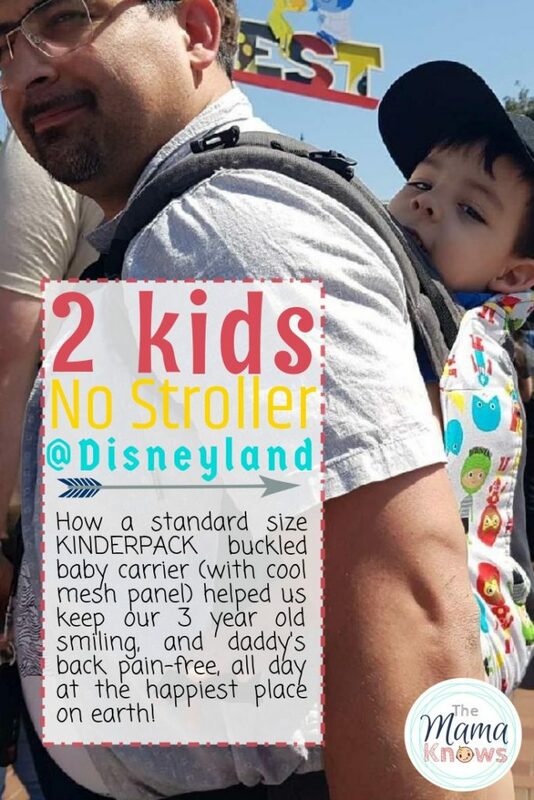 We used this carrier all day at Disneyland, and it was just perfect! Disclosure: I borrowed this carrier from Babes In Arms, free of charge, to facilitate my review. All opinions are my own and unaltered. In hindsight, we should have used the Toddler size for my 3.5 year old, but the standard size still worked. The ideal seat will give your baby knee-to-knee support, and while this Standard size fits my younger 19 month old perfectly, our 3.5 year old was too lanky. Nevertheless, we used the carrier all day for him whenever his legs were tired of walking, and he loved it! For our next try, we will seek out a Toddler Size to get that better fit. Kinderpack carriers come in Infant size, Standard Size, Toddler and Preachooler sizes; the only company to offer such a wide variety of birth to school age carriers. At 34 lbs, and 36inches tall, my little guy is petite. He is turning four this summer, and prefers not to be carried. But of course, on long outtings he gets tired and doesn’t mind riding on daddy’s back. That’s why we knew having two carriers would be essential for a 12 hour day at Disneyland with. 1 and 3 year old. 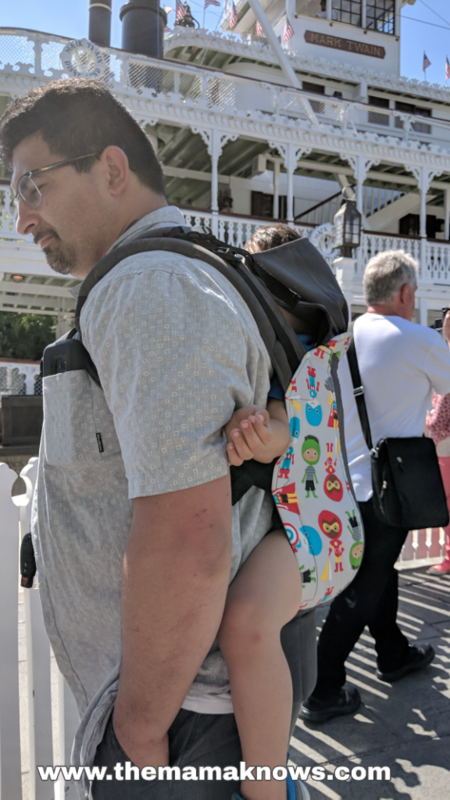 Our 34 lb 3.5 year old was a bit too big for a knee-to-knee fit, but he found the carrier comfy enough to nap in during our day trip to Disneyland. Kinderpack Toddler Size would be a better choice for him. Many SSC carriers come with a hood attachment, or built-in hoods. This kinderpack has an awesome, large, mesh hood that tucks all the way into the body of the carrier when not in use. The hood snaps onto the shoulder straps for a very secure and supportive fit. 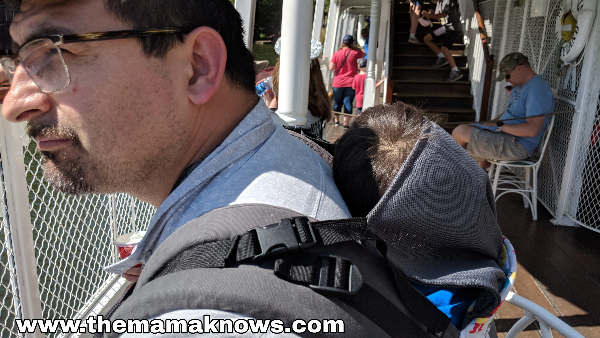 My toddler had no problems having a little snooze while we rode the Mark Twain paddleboat. It was just what he needed to reset his tired body, and cranky attitude, mid-day. The hood was light and airy and made of the same mesh material as the back panel. It provided shade and privacy, without overheating in the hot California sun. The hood is far larger than any other SSC we’ve tried. 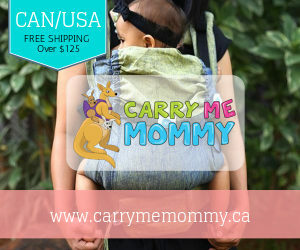 It buckles instead of ties for a secure fit and tucks completely away into the body of the carrier when not in use. It figures that we didn’t get any pictures of myself wearing the smaller baby at Disneyland (dad’s, pick up a camera to take pictures of Mom once and a while), but if we had you would have seen me using the two-way straps! Why? Because I loved the extra support of crossing them in the back. The two-way adjustable straps allow wearers to carry in a traditional backpack style, or with straps crossed in the back and buckled under the arms. 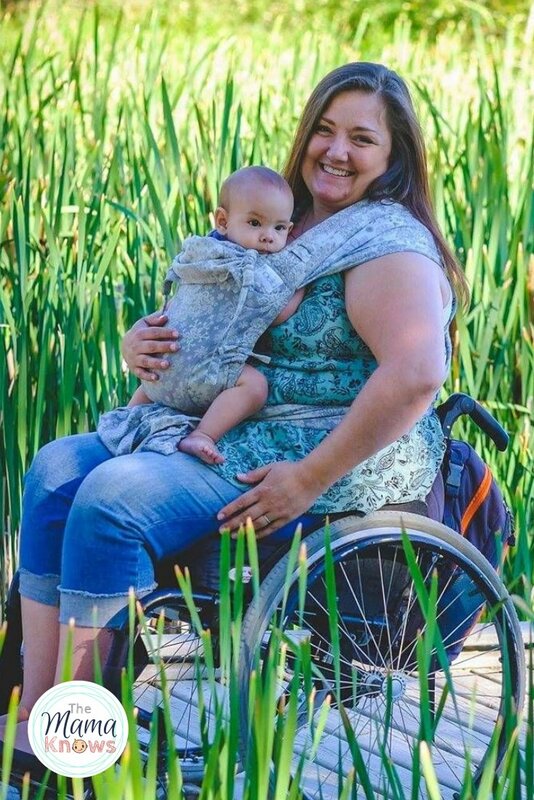 Since I wear my children on the front (wheelchairs don’t facilitate back carries), I loved the concept of crossing my back straps. And it gave me great shoulder support. And another benefit? 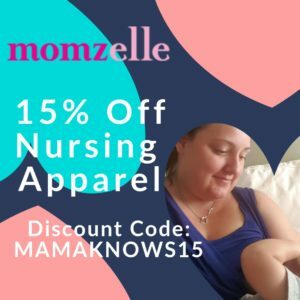 The dual adjustment buckles can adjust two ways under your arms (on either side of the buckle) which makes breastfeeding and adjusting straps on the go much, much easier. It’s the first carrier that I have used that has this epic feature. Game changer! 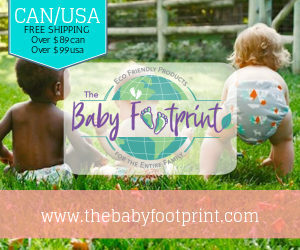 The two-way straps buckle and adjust low under your arms (right by my toddlers hand there) for the perfect fit, regardless of who is wearing the carrier. Do we regret having No Strollers at Disneyland? Not at all. Our situation is unique, because my wheelchair enables us to carry around a backpack for storage quite easily. If we didn’t have that, who would have carried the diapers and daypack? We both would have had kids strapped to us. Our situation is also unique in that my 13 year old is with us to carry a little brother, or bag, whenever needed. Without a plan for the backpack and the two carriers, I do think a stroller might be required. You could probably consider the really cool fanny packs or shoulder bags that work with baby carriers, and still make it work. If anything, it helps to avoid the nightmare of trying to park your stroller amongst literally a thousand other strollers on any given day. Use this special graphic to share my post on pinterest! I am interested in carriers of all sizes because of having two under age three right now. 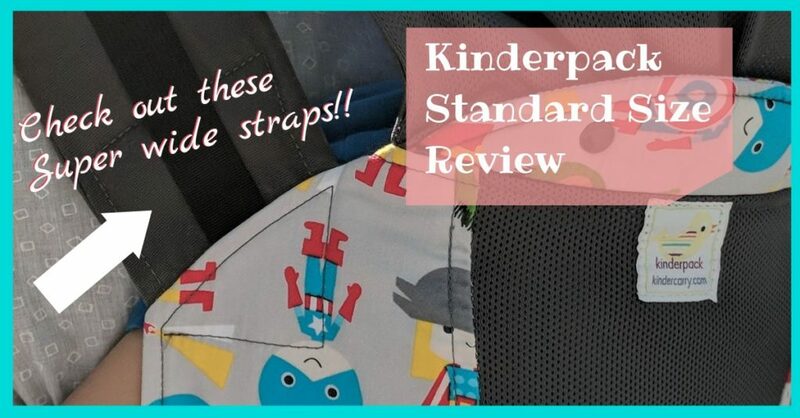 Kinderpack not only looks versatile but also comfortable!